Fate of Indines has a lower barrier to entry than either Devastation or War making it a great point for new players. 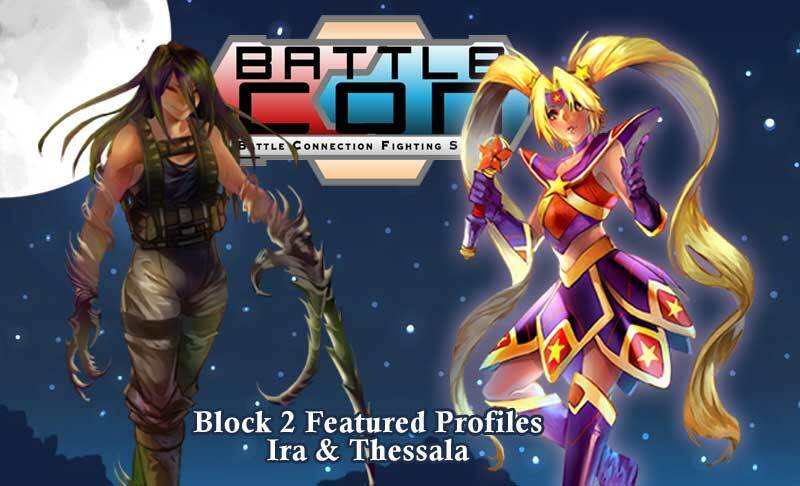 This week’s Block 2 features two characters from Fate of Indines: Thessala and Iri. Thessala is a specialist classified as a basic fighter. The unique skill board that evolves throughout the match. This allows her to explore various differences. This is the first character to feature an evolution board. Evolution is similar to how heroes level up in Final Fantasy X, players unlock new abilities as they evolve each round and due to the spread of skills the opponent is kept on their toes due to the unpredictable nature of Thessala. While she doens’t have very many movement abilities, the evolution steps that include movement actions more than makeup for any negatives. Iri is a brawler classified as an advanced fighter. While she does have some advanced combo maneuvers, she could still be effective for new players. During the ante phase she can transform into one of three phases: Magical Form, Knight Form and Cosmic Form. Each phase has their own unique advantages and drawbacks, but used effectively can result in a devastating combo. Her abilities further compliment and augment her transformations and are built for close range combat. Keep a close and control the battlefield to victory.